Lynda and Stewart Resnick have donated an additional $2.375 million to UCLA School of Law to strengthen the research and educational resources of the Resnick Center for Food Law and Policy. The gift follows a founding gift of $4 million that the Resnick Family Foundation made in 2013 to create an endowment to launch the food law program, as well as generous operational funding during the program’s first years. The center is already one of the country’s preeminent food law programs, and the new donation will secure its prominence as a think tank and educational program focused on the legal and policy dimensions of creating transparency, equity and sustainability in the food supply chain. Resnick Center educational programs include the Introduction to Food Law and Policy class, in which students identify misleading food labels and recommend changes to labeling regulations that would benefit consumers; and the Food Law Clinic, launched in 2017, in which students help local food producers who are committed to healthy and sustainable practices to gain food service contracts, deliver food to Southern Californians in need, and work toward developing a more diverse and sustainable food economy. The center also offers classes in UCLA’s interdisciplinary food studies graduate certificate program, which is available to professional degree students across the university. The Resnick Center, renamed from Resnick Program in concert with the announcement of the new gift, cosponsors the annual UCLA–Harvard Food Law and Policy Conference, hosts other conferences and workshops — including a series on the intersections between plant-based startups and food law — and produces scholarly publications as well as a food law blog. Michael Roberts, the founding executive director of the Resnick Center, said the Resnicks’ generosity will allow scholars to take a longer-term approach to work in food law and will enhance opportunities for students. 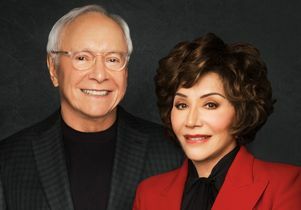 Lynda and Stewart Resnick are among the most prominent and active supporters of UCLA. Their philanthropy — including gifts totaling nearly $90 million to UCLA — supports numerous endeavors in nutrition, health care research, cultural opportunities and more. In 2002, the Resnicks received the UCLA Medal, the campus’s highest honor. Stewart Resnick received UCLA School of Law’s Alumnus of the Year Award in 2005. 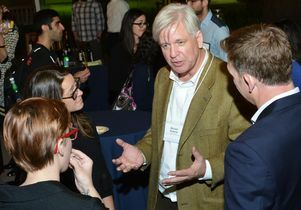 Michael Roberts, founding executive director of the Resnick Center for Food Law and Policy.